Can you parody me now? The Louisiana Department of Culture, Recreation and Tourism, which is under the Office of the Lieutenant Governor, also registered the word mark PICK YOUR PASSION with the United States Patent and Trademark Office. Because politicians do not appear to be able to take criticism gracefully, the Lieutenant Governor sued MoveOn.org for trademark infringement. One argument was that since the Lieutenant Governor was the owner of the mark, it was not a lawful parody because the Governor, not the Lieutenant Governor, was the target of the message. So that’s an interesting concept—is it true that the “parody” use of a trademark has to be about the owner of the mark? 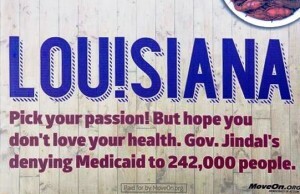 The State argues that MoveOn.org’s billboard does not criticize the owner of the mark, the State of Louisiana, but rather it criticizes Governor Bobby Jindal. Essentially, the State argues that the target of MoveOn.org’s parody (Governor Jindal) is not the holder or owner of the mark (the State). The question is whether the disconnect between the owner of the mark and the target of the parody creates viewer confusion. In other words, is a motorist viewing the billboard likely to conclude that the State of Louisiana is criticizing Governor Jindal. The Court thinks not. It doesn’t matter who the owner is because the question is whether anyone is confused and clearly, here, no one would be. OK, first thing: Case was an obvious stinker, and the court had no difficulty recognizing it. This is not a trademark infringement case; MoveOn.org isn’t even using the trademark as a trademark. (Query: Is Louisiana?) This was protected speech under the First Amendment of the most classic kind. [Y]ou can see what an aggravating problem [this] could be for an otherwise-uninvolved trademark owner. 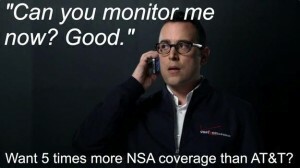 What if the billboard had said “Can You Hear Me Now? Vote Gov. 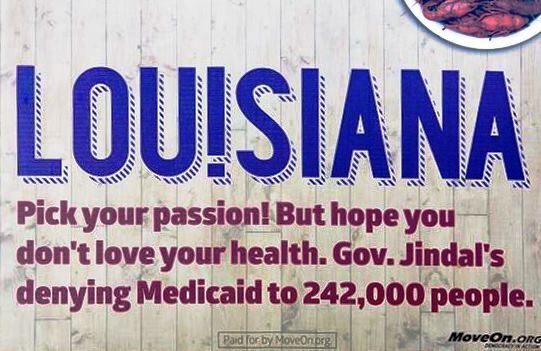 Jindal out of office for denying Medicaid to 242,000 people.” I suspect the likelihood is low that anyone would think that Verizon was related to an ad critical of the Governor of Louisiana, but Verizon would nonetheless be unhappy about it. My first inclination is to respond that Verizon would probably nonetheless have a pretty good dilution claim; its CAN YOU HEAR ME NOW trademark is certainly famous (i.e., it qualifies for federal dilution protection), which is why Pamela chose it as an example. What about her broader question, however? Does the Lanham Act — forgetting dilution, itself arguably nothing more but the evil spawn of real trademark infringement — protect trademark owners against unhappiness? 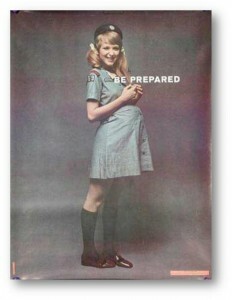 The question, of course, is rhetorical; Pamela knows the score, and so does any Girl Scout. Second question: “Any guesses why the State filed in federal court instead of state court?” My legal-realist guess is that the State of Louisiana executive thought it would have a better chance at enjoying some home-cooked Cajun fare in a State of Louisiana courthouse than in the halls of a judiciary whose officers have lifetime tenure. 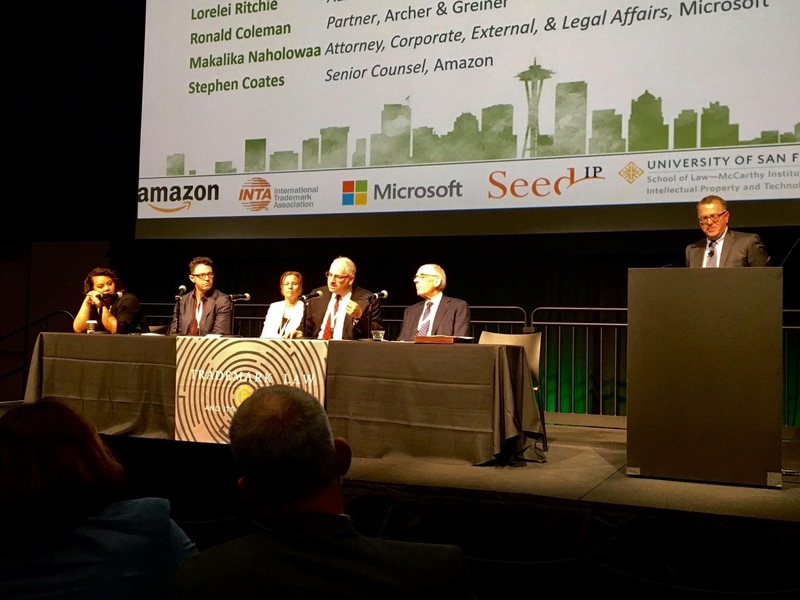 It didn’t help” Regardless of where it was served, this case — like most cases that try to use trademarks as a lever for controlling expression should be — was a recipe for disaster. Is the suggestion of your reference to the Girl Scout poster case that the Lanham Act will not provide any recourse for the mark owner (i.e., the part of the third part) who is aggrieved by the unauthorized use of its mark as the mere vehicle for criticism of a party of the second part? Even if the Lanham Act does not expressly, courts are typically much less reluctant to enjoin use of a mark when that use is merely a vehicle to poke fun at someone else (the ol’ parody vs. satire thing). No? Well, courts unfortunately are not nearly as reluctant as they should be about a lot of claims in this department. In Girl Scouts the key point is that the use was neither a competitive one nor was there a likelihood of confusion.